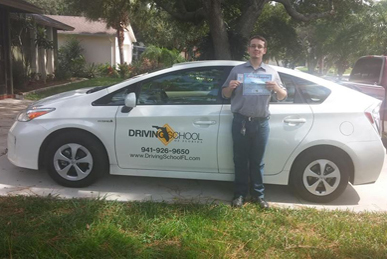 Our driving packages help new or inexperienced drivers earn a driver’s license. Our sessions are built to accommodate the unique requirements of every student, and the lessons will adjust depending on the actual progress demonstrated by the student. Led by our professional and experienced instructors, these sessions deliver safe, confident, informed, and patient drivers to American roads. 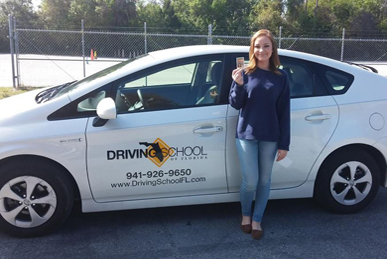 Students learn the best Defensive Driving education and the requirements to pass the road test administered by the Florida Department of Motor Vehicles. Our four-session packages are appropriate for any driver skill level but are best suited to those with some in-car driving experience–around the neighborhood, parking lots, and more. 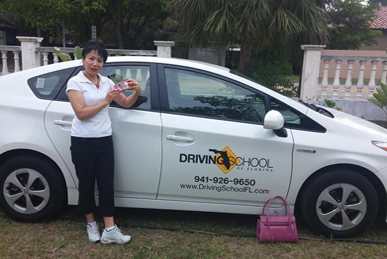 Our six-session packages are appropriate for people with little- to-no driving experience, or who want to lower their nervousness while behind the wheel. This course is appropriate for drivers of any skill level who has also completed the 32-Hour Classroom Course wht the Learning and Families Coop. It’s best to have some driving experience–neighborhood and parking lots, for example. These sessions are for any driver who wants or needs to gain additional behind-the-wheel experience. This course is appropriate for drivers of all skill levels and experience who want to correct latent or unknown driving problems as evidenced by 3 crashes in 3 years. These sessions are appropriate for any driver skill level or experience, if additional instruction is desired or needed. This item is appropriate for people who are more comfortable taking the road test in the car they received their training in. Pick-up and drop-off in a dual-controlled state-certified vehicle. Have You Completed The 32-Hour Classroom Course With The Learning And Families Group? If not, please select other courses.